German Day Fighter Command & Control. Hoffmann does not cover it very well and in the published literature one has to do at lot of reading between the lines in order to catch a glimpse of the control centers and the procedures involved. It is crucial to understand, that there were two separate organizations responsible for the production of the Recognized Air Picture (Luftlage) and for Command & Control of fighters. An Auge-Ohr Flugmelde Dienst, which produced the day-time Luftlage and a Funkmess Flugmelde Dienst, which produced the night-time Luftlage. The latter Stellungen also performed night-fighter control. In parallel there were 2 Command & Control organizations. One responsible for day-fighter employment only and one responsible for night-fighters only. The 2 Flugmelde organizations were amalgamated in FEB 1944 and the 2 command-organizations were combined in what I call The BIG reorganization 15 SEP 1943. I do not pretend to have all the answers maybe 50 - 75 %, and what I have is not 100% correct. But I would like to have the discussion started, there might be other contributions, which will make us all wiser and probably lead to some more heated discussions. The description is split into 3 parts. 1. 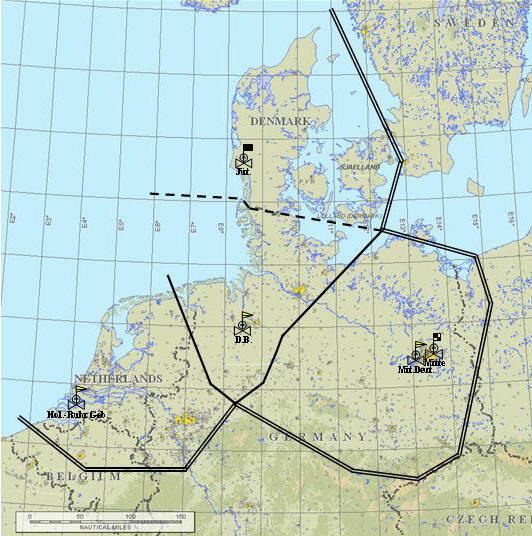 The production of the Recognized Air Picture (Luftlage). 3. Dayfighter intercept control procedures. The production of the Recognized Air Picture (Luftlage). This was based on visual and aural observations from the FLUWAs, who reported to the FLUKOs. ("Auge-Ohr Flugmelde Dienst"). Additionally a few FLUKOs had 1 or maybe 2 Freyas at their disposal. The FLUKO performed an Auswertung (Plotting and Filtering) and reported to the Luftgau, which I think initially, was responsible for fighter employment. The Luftlage was also reported to the GefStd of the JG, where an Aufnahme (pure plotting) was performed. If you study Hoffman band II, teil 1, Anlage 8, Zeichnung 22 you'll see this system described and a very good description of the evolution in France. Over time the Freyas were supplemented by Wassermans and Mammuts, which again reported to the FLUKOs. E.g. 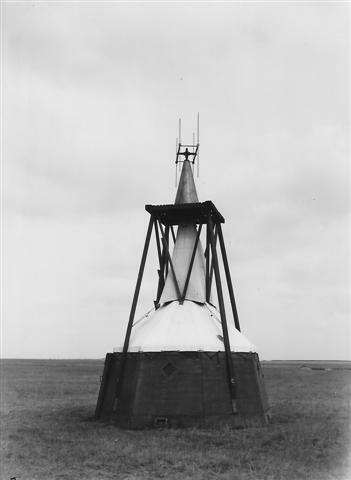 the Wassermann S in Vorupör in Denmark was subordinate to FLUKO Aalborg until mid 1944. Within Germany proper the system was expanded to include Haupt-FLUKOs and Fern FLUWA Kdos. Up to the winter 1943 - 44 the nightfighter control organization and their radars ("Funkmess Flugmelde Dienst") were not involved in the production of the day-time Luftlage. In the spring of 1944 the 2 organizations were, however, combined. As mentioned earlier the FLUKOs reported to the JG GefStd, and here it was decided, which Gruppe should be scrambled. As one can figure out this was a very piecemeal way of employing fighters, so the Jagdflieger Führer was established fairly early, but these HQs were only established in the areas, where the most intensive operations were foreseen. Please see: Organizational Changes below. The Jafü received the Luftlage from a number of FLUKOs, performed an Auswertung, and decided which JG should intercept a specific raid. The JG again decided which Gruppe should be employed. Location of the Jagdabschnittsführer and Unterabschnittsführer 31 DEC 1941. As far as I can figure out this was the procedures until the BIG reorganization in the autumn of 1943. 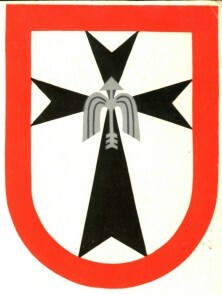 At this time the Jagddivision became the central command authority. Initially the intercept control was performed from the GefStd of the JG or Gruppe. The GefStd was in radio contact with the fighters and did a broadcast of the position of the target (allied raid). They had no way of knowing where the fighters were, so the leader of the fighter formation established his own position, and figured out a vector to perform the interception. In frontline areas this was called Adler-Verfahren and is described in detail by Hoffmann. After the establishment of the Jafüs they performed the broadcast function. See again Anlage 8 Zeichnung 25 and 26. The formation leader still had to perform his own navigation and if he was above clouds, or over water, he had no way of knowing where he was. In August 1941 the Peilruf-Verfahren was introduced. The fighter radios were modified to automatically transmit a tone of 20 sec. duration every 2 minutes. Through cross bearings from 3 stations, it was now possible to establish the position of the fighter formation. The equipment used for this purpose was the Fu Peil A 80 "Tornado". The position thus obtained was plotted on a table, where also the track of the target was displayed. This was probably done in the Jafü or JG GefStd. The function of the Jafü was thus to execute not only operational and tactical control, but also to perform intercept control. So these HQs literally were Jagdflieger Führer, as they controlled airborne fighters. So generally speaking there were no day-fighter control Stellungen - with very few exceptions. This was opposed to the Nacht Jagd Raum Führer, whose function mainly was to decide, how many aircraft should be scrambled by which Gruppe and appoint the controlling Flugmeldemess Stellung. JL SE: POMPEJUS, OKTAVIAN (which I think also was the Jafü) and STEPHAN. JL Med: PAUKE and ASSEL (which BTW also could be a Freya-Igel Stellungen) and SAATKRÄHE. In February 1942 the Y-Linien system was introduced, and it was in widespread use in early 1943. The Y-Linien Stellungen tracked the fighter formation, reported to the Jafü, and the Jlo could now direct up to 5 fighter formations at the same time. 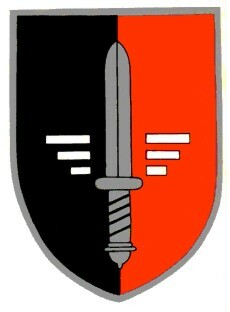 (Y-Verfahren (Jagd)). After the BIG reorganization this process was performed from the GefStd of the JD. Please see Jägerleit Stellungen. There is one issue I have never found a good answer to. At some point the Y-Linien Stellungen were renamed Jägerleit Stellungen. And repeatedly reference is made to the telling of the Luftlage from the JD to the J-L Stellung. This could indicate that in some cases the J-L Stellung actually performed fighter control versus merely reporting to the JD, and i.a.w. Hoffmann’s manning list in Anlage 10, there was indeed Jlos in the Jägerleit Stellungen. It is further noteworthy, that at the end of the war a number of Jägerleit Stellungen in Denmark were equipped with "normal" radars. This would enable the Stellung to produce a local Luftlage and direct day-fighters, without a back-tell from the JD.